So the good folks over at Simon and Schuster added not one but two new SF/F imprints recently: Simon451, whose first titles released just last month, and Saga Press, which will begin releasing titles in the spring. And there are exciting things going on at Saga Press, indeed! Just this week it was announced that they'd signed a two book deal with Kat Howard and last month they announced a deal with Chuck Wendig that involves not only continuing the Miriam Black series but also new editions of the first three titles. 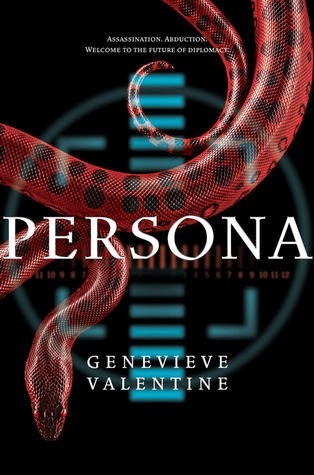 But before we heard tell of all of that news, Saga Press released their list of launch titles, which includes a new book by Genevieve Valentine. You may recall I was particularly impressed by her contribution to Robot Uprisings, and I've been planning to read her latest, The Girls at the Kingfisher Club, for quite some time now. I expect this to be AMAZING! This is a tough one. There have been so many great releases this year but I think I'm going to have to go with Katie Crouch's Abroad for my pick. Why? Well, for one because I seemed to have been going through a bit of a slump when this one crossed my path. Whenever this happens I find that I have a really hard time deciding what to read and nothing hits the spot. Abroad was my first time reading Crouch and it was amazing. Really dark but also gorgeously written. It was not only the perfect slump buster but it introduced me to a new-to-me author! To see my full review of Abroad you can check out my post here. I do highly recommend this one to anyone looking for a dark psychological thriller with an exotic setting and a bit of a slower pace (it's one you can really get lost in!). I'm off to tackle more Thankfully Reading Weekend books. Hope you all had a fabulous turkey day yesterday! Good morning, everyone, and Happy Thanksgiving! This year I've decided to officially take part in Jenn's Thankfully Reading Weekend. First, I kind of hate everything Black Friday is about. Sorry. Second, I'm not hosting Thanksgiving this year! This is the first time I don't have to cook a turkey or clean the house. Well, clean the house for guests anyway. Since we weren't able to travel home to spend the holiday with family, we will be celebrating with friends this evening. But that means I've got most of today to relax! 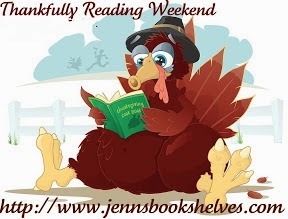 And actually, I'll have ALL WEEKEND to devote to my TBR pile! I'm so nerdy excited. I haven't set an official TBR for the weekend. I may set some titles as my reading progresses but for now I think I'll just read where the mood takes me. I will, however, be trying to peck away at the mountain of to be read physical books as well as the amassed collection of eArcs waiting for review on my eReader. Readers, I'm facing a real dilemma this week. I have time off! This means I have an ample amount of time to read. Why is this a problem, you might ask? Because it means I have to pick what to read - and I have lots to choose from! Considering I have a ton of series and trilogies partially started and unfinished currently waiting in my TBR, I decided one of those would be a good place to start. Kara Taylor's Prep School Confidential was quite a pleasant surprise last year. It was well plotted and featured a cast of characters that I kind of adored. And yet, when Wicked Little Secrets and then Deadly Little Sins released in March and August (respectively) I didn't immediately devour them. Ugh. I hate when I do that. Wicked Little Secrets picks up immediately after Prep School Confidential. Having solved the mystery of her roommate's murder, Anne finds herself now focused on that of Matt Weaver. He's a legend at Wheatley Prep and - before her murder - Isabella had been digging up dirt on his disappearance. Anne's discovery of a crew team picture with the words "they killed him" penned on the back is enough to pique her curiosity. Learning that her boyfriend's father could have been involved in the decades-old missing persons case causes tension in Anne's budding relationship and her tendency to poke her nose into sticky situations soon lands her in hot water... again. While the relationship issues/love triangle do get a bit more heavy handed in this second of the trilogy, overall it's a perfect follow up to such a fabulously fun kick off! I love these books because Anne is so feisty and stubborn. And I like that Anne's not a typical outsider looking in or unpopular girl, as one would probably expect with a boarding school setting. She's amongst her peers, she has good friends, and she's reasonably well adjusted. In other words, she's a pretty normal, average teen. She's just a bit of a troublemaker. Or it might be better stated that she's often caught getting in trouble. These are also fun because the mysteries themselves are so well thought out and believable. Anne has to go to class. She has to pass tests. She does get caught sneaking out. She is limited by her age and she does have to rely on outside - adult - help (i.e. the cops). Taylor manages to do all of this without getting overly cheesy or contrived. I'll be jumping into the third and final title shortly - both to avoid my usual procrastination in completing series and to see what's up with the big reveal Taylor dropped on her character at the end of Wicked Little Secrets. I've decided to jump on board with Top Ten Tuesday, hosted by The Broke and the Bookish. This week the topic is: top ten titles in my winter TBR. I'm going to limit this to books that I currently have on hand, just to make this a little easier on myself (so no wish list titles or books I plan to buy). So even though I didn't have a June book, my two Febs have me all caught up. And the actual accounting of the challenge did fall apart as it transitioned from one host to another, so those middle titles never made it to any link ups. Before I put all that together I was rushing to squeeze in a few more books before the year rolls to an end and decided Danielle Vega's The Merciless would be my next read. Sofia is used to being the new girl in town. Her mom is a military medical technician, which means they move around a lot. It makes it hard to have real friends, but Sofia has high hopes for their newest home. The town is called Friend, after all. Sofia finds herself pretty quickly embraced by one of the school's cliques and is accepted and embraced for the first time that she can remember. But something isn't quite right with new pals Riley, Grace, and Alexis. They have a weird obsession with another girl in school and are seemingly convinced that the girl is evil. And not just mean girl evil, biblical evil. Riley convinces the group that this girl needs to be saved, but even Sofia couldn't guess how far Riley and her friends are willing to go. 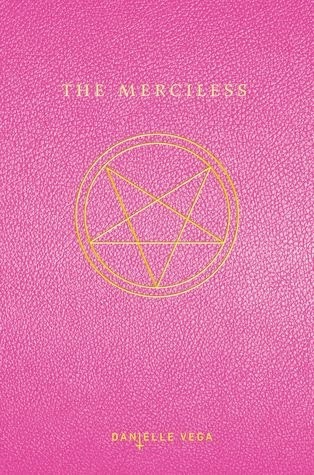 The Merciless released in June and I heard absolutely nothing about it. Which was weird because it falls right there in the teen horror category and I love horror of any kind. Anyway, it's a Razorbill release and part of Alloy Entertainment's growing list of titles. I discovered, too, that while this does fit the DAC challenge it actually isn't the author's debut. Danielle Rollins writes tweens as Ellie Robbins and horror as Danielle Vega - Merciless is the debut title for her Vega pseudonym. The action kicks off a little too quickly in The Merciless for my taste - I would have liked a chance to get to know the girls a bit more, or at least feel like Sofia had a chance to get to know them more before diving so readily into their schemes. I didn't feel comfortable that I knew enough to believe that Sofia would so readily join in on Riley's or Brooklyn's plots. Not that I couldn't believe it, just that I didn't know her well enough as things started rolling along. Once they get down to the real dirty plot, though, this book takes off! I kind of liked that I knew little about the book going in because it made the story that much more shocking and surprising for me. And The Merciless is just that: shocking and surprising. So yeah, I'll let you be surprised as well and not give away anything more about the plot or the premise but this was definitely a dark and fun return to some of the 90s horror movies I remember from my teen years! BTW - this has horror movie blockbuster written all over it and it looks to be possibly in development - according to Vega's Twitter. Oh, yay! 2015 looks to be the year ALL of my favorites release new titles! I had the great pleasure of discovering Camille DeAngelis's work back in 2010 with her release Petty Magic. It was really a phenomenal read and one I recommend to anyone looking for a witchy and witty tale. Since then I've been waiting for her to come out with something new and now the wait is finally almost over! Aren't you just dying to read it? I know I am! I've been in the mood for a good alien invasion book for a while now - it's a result of my own attempt to make room for more traditional science fiction in my reading list AND the new Simon451 releases I've been delving into (which have only left me craving more). And given that I've still got Simon451's Nicholas Sansbury Smith releases to dive into ready to go on my ereader, I figured it was time. But I read these backwards, starting with "White Sands" rather than "Solar Storms," something I have to consider a bit of a mistake. See, it's not until almost the end of "White Sands" that the story's timeframe becomes somewhat clearer, with a mention of the "solar storms of 2055." Anyway, that was my mistake but it certainly didn't make "White Sands" any less fun! I've since gone back and read "Solar Storms" though and am going to cover them in order here. 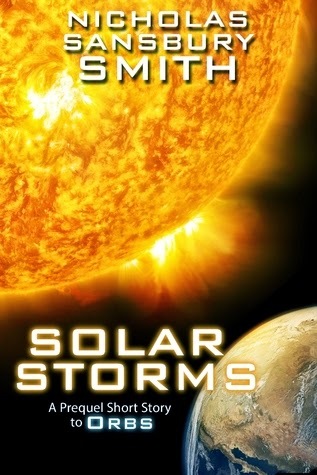 In "Solar Storms," Doctors Sophie Winston and Emanuel Rodriguez have been tasked to the Johnson Space Center in Houston for what they believe is a NASA operation. Upon arrival, they learn that recent sun activity suggests an anomalous event that could be catastrophic to Earth. Massive solar flares seem to be increasing in size and frequency and it seems to be just a matter of time before they hit our planet. Sophie and Emanuel have both studied varied effects of such an event but the CME hits before they can even begin to theorize what might be causing it. Now everything has changed and surviving the storm is just the beginning. "Solar Storms" honestly did clear up a few things for me. Some of the when and the what are revealed, and we're given a bit of a look into NTC's involvement at this early stage as well as the government's... response... (I've since started Orbs, so I know Sophie makes a return). There's a very menacing overtone to the whole story what with the questions surround the cause of the flares and Sophie's initial discoveries pertaining to that matter. "White Sands" begins with brothers Jeff and David (and stepmom Paula) headed to meet their dad for their annual visit. Dad - Michael Fitz - is a guard working for the New Tech Corporation, based at their White Sands Missile Range location. The visit is off to a rocky start when Paula and the kids are redirected after witnessing what they believe is a test flight of one of NTC's new prototypes. Unbeknownst to Fitz's family - and much of the base staff - NTC has intel that indicates an alien landing is imminent. While some of the company's top scientists are boarding a shuttle that will take them off world to a new potential colony, Fitz and his sons are going to witness the beginnings of a hostile invasion firsthand. Hmmm. And things have now gotten much more interesting and much more complicated. The beings actually do make contact in "White Sands" and it is creepy as hell! But what I find even more chilling is the obvious way the powers that be have kept it all from everyone! Of course that begins in "Solar Storms" but it's much, much worse by the time "White Sands" takes place. So far I'm finding Nicholas Sansbury Smith's work to be quite entertaining. These are sci fi tales that even I can wrap my brain around, so they're not terribly heavy on the actual science part. There is enough present, though, to set a nice tone and scene for the series. "Solar Storms," "White Sands," Orbs and Orbs II: Stranded are out now. 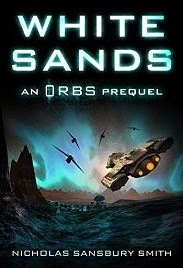 Orbs III: Redemption and another prequel short, "Red Sands," are due out next year. In spite of all the rage and abuse, Red believed that Bryce was the one. They met through an online dating site and were together for almost two years before she discovered that everything about him was a lie. With the help of the police, Red has moved on and has begun rebuilding her life. But getting away from Bryce is no easy task. When Red's new boyfriend is found dead, burnt to death in an apparent suicide, Red realizes that Bryce is still very much a part of her life. As his presence becomes more apparent, more incidents occur and it isn't long before the police begin to put the pieces together. But Bryce is a master in the art of concealment and catching him before it's too late for Red may be the ultimate challenge. Want You Dead is the tenth book in Peter James's Roy Grace series. Grace, a major crimes officer in Brighton, and his fellow characters do have a very clearly well-developed history in this series. While it is somewhat easy to slip into this latest, it's apparent very early on that this cast of characters has been through a lot together. It's this established backstory that I find always draws me into a series and I really felt like I was missing out by not being privy to that. There's also a key subplot concerning Grace and his missing wife, an element that apparently traces all the way back to the series debut, Dead Simple. As an aside, I really wish I'd known the story concerning Sandy before reading this one. She comes out of left field for a newbie where she's apparently been haunting Grace for ten titles! There's nothing subtle in this story at all. In fact, that's my main complaint with the book. The criminal mastermind is kind of reminiscent of something you'd see in an old Bond movie - really over the top monstrous. The plot unfolds mostly as you would expect with the only real surprises coming in the form of über violent details. That said, if you're looking for a fast-paced and pretty brutal police procedural, Peter James has a knack for just that. The story rips along at a frenetic pace with short (some super short) chapters and lots of action. The bad guy here is really bad, the danger to Red and those around her is undeniable, and the police efforts to find their culprit become almost frantic. I've decided to jump on board with Top Ten Tuesday, hosted by The Broke and the Bookish. This week the topic is: top ten sequels I'm dying to get my hands on. I know I'm weird but am I alone in the habit of sitting on books as a series winds down? There are only three more Kinsey Millhone books planned at the moment and while it doesn't excuse my taking over a year to get to W is for Wasted, I really don't want this series to end. I decided enough was enough over the weekend and finally broke down. Let me tell you, it was a very welcome return to 1980s Santa Teresa! Kinsey is taking a welcome little work vacation when an odd call comes in: a homeless man has been brought into the morgue. He has no identification on him, but apparently carried Kinsey's card in his pocket. Could she come down and identify him? Kinsey's never seen the man but considering she has some time on her hands she decides to poke around and see what she can find. At the very least, her curiosity about why he'd had her card has been piqued. Unfortunately, when Kinsey does finally discover the truth about the man's identity, things get pretty complicated for the PI! I've been reading this series for over a decade and am amazed that Sue Grafton can continue to come up with new, intriguing plots while never neglecting her characters. In W, Kinsey has to face more family challenges and the appearance of two exes (oh, Dietz! ), Henry takes on a new housemate (or two), William and Rosie are doing well - all things considered, and we meet a slew of new characters as well! W is out in paperback now (as is the whole series leading up to it) and X is tentatively set for release fall of 2015. Til then, I'll survive and find some way of tiding myself over. I guess by the time the whole thing is wrapped up with Z it'll be time to go back and re read the whole thing, right? I was drawn in by the cover of Alex Gordon's upcoming Gideon but it was the line calling it "Douglas & Preston meets Kim Harrison..." that made this a must for the TBR! Making her way to Gideon, Lauren finds herself more confused than ever. Nothing in this small Midwestern town is what it seems, including time itself. Residents start going missing, and Lauren is threatened by almost every townsperson she encounters. Two hundred years ago, a witch was burned at the stake, but in Gideon, the past feels all too chillingly present. I think this sounds fabulously awesome and can't wait for it to release. 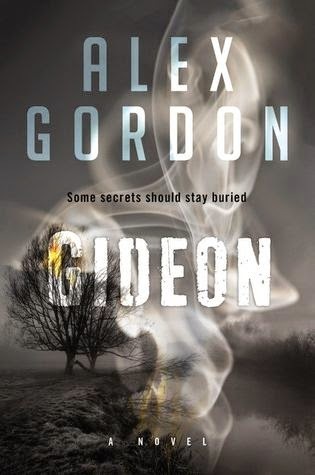 Gideon is due out from Harper Voyager in January. 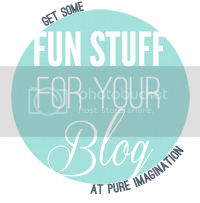 I have a whole anthology for you today! I am firmly in the paranoia camp when it comes to robots. I kind of think technology hates me already so it's not at all a stretch for me to believe that robots will attack one day. And I'm not alone, even Elon Musk and Stephen Hawking say AI is dangerous! Elon Musk and Stephen Hawking, folks. 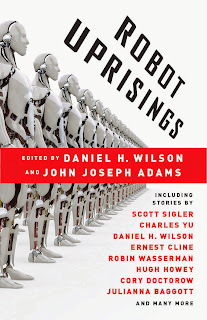 In Robot Uprisings Daniel H. Wilson and John Joseph Adams have compiled a collection packed with tales of technology gone wrong. 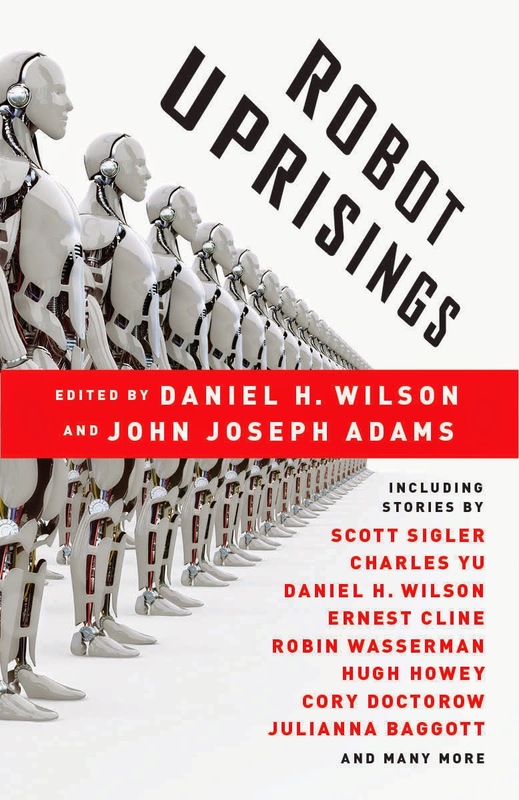 From nanobots and rips in space and time to a war with smart toys, these stories cover just about every worst case scenario you can think of and probably a few you haven't. Scott Sigler kicks things off with a short that brings fans back to Siglerverse Detroit in "Complex God," one of many nano technology focused tales in this anthology. Anna North's "Lullaby" is another and may just be my favorite in the entire collection - depending on the mood I'm in. 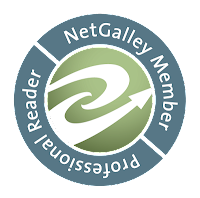 A few more personal highlights were Genevieve Valentine's "Eighty Miles an Hour All the Way to Paradise" and Nnedi Okrafor's "Spider the Artist." This was actually my first time reading both of these authors but definitely won't be my last. Seanan McGuire's "We Are All Misfit Toys in the Aftermath of the Velveteen War" and Alastair Reynolds "Sleepover" round out my top six (because it was too painful to narrow down to five! ), but really the whole anthology is amazing. 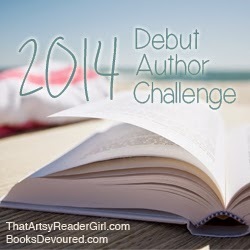 Oh, I've been neglecting the 2014 Debut Authors Challenge! I am working to remedy that, with my first new DAC post today. It's Suzanne Myers's debut, Stone Cove Island, fresh out this week from Soho Teen. Stone Cove Island is reeling in the wake of Hurricane Victor. Power is off and on, the ferry is out for the foreseeable future, and many of the islanders have had to take refuge in the local school gym. Eliza Elliot loves her island home and wants to do something to help, so she organizes a volunteer clean up, in the hopes that many of the other local teens will join in. Eliza is assigned the historic lighthouse, which leads to her discovery of a potential clue in an unsolved murder that dates back to her parents' teen years. Strangely, it's a case Eliza and her own peers have never even heard of: twenty-five years earlier, Bess Linsky vanished. Her bloodied clothes and her hair were found at the lighthouse but no body was ever recovered. Eliza's discovery wants to find out more, but all of her inquiries are met with stubborn silence and warnings not to mention Bess or her murder again. As her fellow islanders become even more secretive about Bess, Eliza begins to see potential suspects in almost everyone she meets. Initially I wasn't sure how I felt about the way Eliza stumbled upon the letter. Considering she immediately finds out that Bess was her mother's best friend, it just seemed a little too easy. Much of the book unfolded this way, in fact. Unfortunately, I didn't want easy. I wanted the plot to be more complex. Stone Cove Island was one I'd really been looking forward to, so it was kind of a big disappointment that it didn't live up to my expectations. 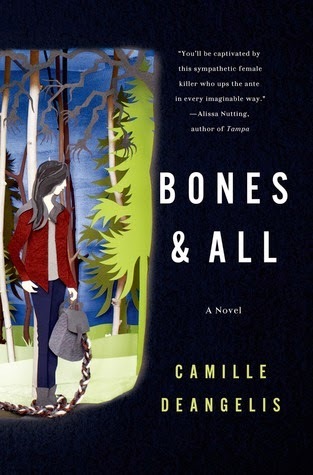 The characters are fine and the pacing is quite good for a mystery. Ultimately, though, there just wasn't enough suspense or actual mystery to this mystery for me. I've decided to jump on board with Top Ten Tuesday, hosted by The Broke and the Bookish. This week the topic is: top ten side characters I wish would get their own book. Well... I have eight. I swear I thought of more as I was falling asleep. Should have written those down. Good morning, everyone! 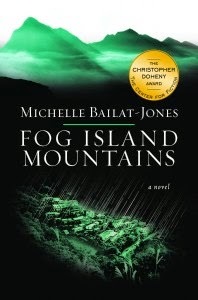 Today I'm a stop on the TLC book tour for Michelle Bailat-Jones's Fog Island Mountain. The people of Komachi are bracing for a storm, but for Alec Chester day dawns with worse news. As he receives his diagnosis, his wife is nowhere to be found. In fact, she'd driven to the hospital with the intention of being by her husband's side only to realize that the possibility of facing life without him is too much. With the storm looming, each of them will make decisions that will affect the other - some in quite possibly grave ways. This is an interesting little read as it's narrated by a third character, Azami. Azami is a storyteller like her father and I quite enjoyed the bits of folktales she inserted into the story. 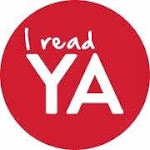 Hi, readers! 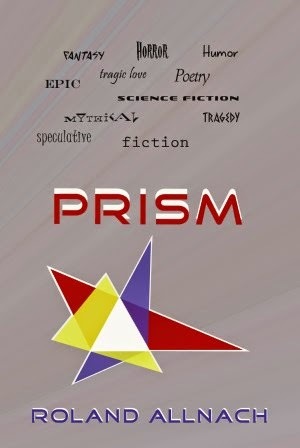 Today I'm a stop on the TLC book tour for Roland Allnach's latest collection, Prism. It was another busy, busy weekend here, which meant short stories were again perfect reading to fill the few spare moments. Allnach's previous collection, Oddities & Entities, was a truly chilling collection and I'd been looking forward to more from him, so Prism really landed in my lap at the perfect moment. This new collection is an odd blend to be sure. The pieces run the gamut in terms of genre and even in terms of type - there are two poems included, one in the style of a grand, epic poem and one that's a bit of a ballad. A few of the tales - "Titalis" and "After the Empire" - even took on a mythic tone with the former broken into multiple acts. A couple of my favorites included "Dissociated," which offered a glimpse into the mind of a writer, and "Creep," a really excellent bedtime chiller (that one earned Allnach a Pushcart nomination). I didn't really detect an overall theme to the collection (which does make the title particularly appropriate), but all in all Prism is a nice showcase of Allnach's abilities. For more on Roland and his work, you can visit his website here. You can also friend him on Facebook. I have been a fan of Ariana Franklin's (aka Diana Norman) work since her 2006 title, City of Shadows. Her Mistress of the Art of Death is one of my favorite historical series (and one I truly, highly recommend to mystery fans). I was, of course, saddened to hear of her death in 2011 so you can imagine my surprise and elation at the announcement of an upcoming Ariana Franklin release (completed by her daughter, Samantha Norman). 1141. England is engulfed in war as King Stephen and his cousin, the Empress Matilda, vie for the crown. In this dangerous world, not even Emma, an eleven-year-old peasant, is safe. A depraved monk obsessed with redheads kidnaps the ginger-haired girl from her village and leaves her for dead. When an archer for hire named Gwyl finds her, she has no memory of her previous life. Unable to abandon her, Gwyl takes the girl with him, dressing her as a boy, giving her a new name--Penda--and teaching her to use a bow. But Gwyl knows that the man who hurt Penda roams free, and that a scrap of evidence she possesses could be very valuable. Gwyl and Penda make their way to Kenilworth, a small but strategically important fortress that belongs to fifteen-year-old Maud. Newly wedded to a boorish and much older husband after her father's death, the fierce and determined young chatelaine tempts fate and Stephen's murderous wrath when she gives shelter to the empress. Aided by a garrison of mercenaries, including Gwyl and his odd red-headed apprentice, Maud will stave off Stephen's siege for a long, brutal winter that will bring a host of visitors to Kenilworth--kings, soldiers . . . and a sinister monk with deadly business to finish. 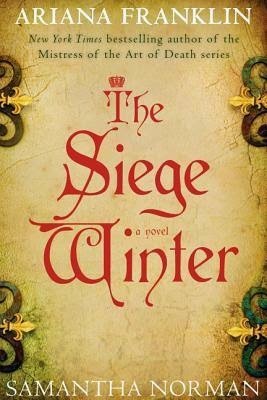 The Siege Winter is due out from William Morrow in February. It's available already in the UK (as The Winter Siege). Happy Friday, everyone! Today's short fiction is a gem of a story that I recently discovered. Laura Lippman, as you may know, is one of my go to authors. 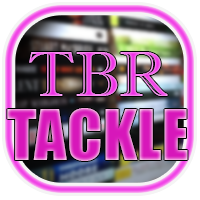 Every new release makes it to the TBR, though I do still have some backlist to work through (coming soon!). And her short stories have long been some of my favorites. In fact, Lippman's short fiction caught my attention back with the release of one I'm sure you're sick of hearing about here on the blog, the 2004 mystery/thriller anthology Like a Charm. Edited by Karin Slaughter, this collection of linked shorts featured a literal who's who of the thriller genre - including Lippman herself with a tale called "Not Quite U." And so, when I discovered "Five Fires" I knew that not only did it have to be next on my to read list, it had to be my next Short Fiction Friday pick as well. The town of Belleville has seen three random fires since the start of summer. Three fires that could be accidental, though Beth suspects otherwise. Beth will be a senior when school starts and after that she plans to go on to college to major in Criminal Justice, so of course she has a keen interest in discovering the real story behind the fires. She knows the fires are connected. She knows there will be more. And she thinks she knows who is responsible. If your concern - as mine typically was and still occasionally is - is that the short will feel incomplete or lacking in some way, have no fear! 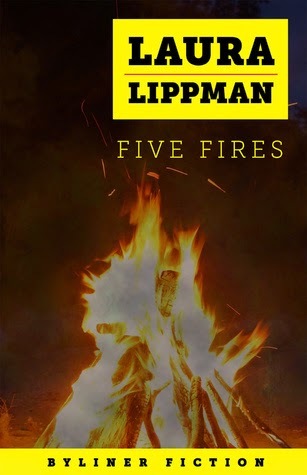 "Five Fires" is a short short, but it's still full of Lippman's signature suspense, character and plot development, and unexpected twists. The short is the first release from the newly acquired Byliner imprint at Vook. I was not familiar with either Byliner or Vook before this, but I will definitely be on the lookout for new shorts. You can read more about both here. 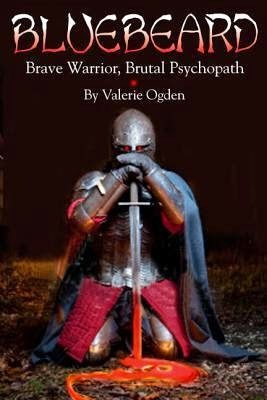 I know I rarely do history posts, but I really couldn't resist Valerie Ogden's debut, Bluebeard: Brave Warrior, Brutal Psychopath. While I am by no means any sort of historical scholar, I do admit to having a keen fascination for history - and dark history in particular. I love historical fiction and have read any number of late tied to the events and people that are featured in this book. And I came to this particular story in a bit of a roundabout way - reading up on Joan of Arc. Many might not realize that Joan of Arc shared close ties to the man who is the basis for the Bluebeard legend. And as Ogden points out both in her book and in this fabulous Huffington Post piece, "The True Stories Behind Classic Fairy Tales," the Bluebeard story is actually downplayed quite a bit. Because it wasn't wives this man was murdering, but children. And it was well above eight. In fact, the numbers are said to range into the hundreds. But why and how did this man - a member of high society, a war hero in his own right - become one of the most twisted and brutal serial killers in all of history? This is something Ogden attempts to answer in her recently released history of Gilles de Rais. Joan of Arc's close companion on the battlefield, one of the wealthiest and most respected men in France, became a notorious serial killer, nicknamed Bluebeard, who performed bizarre sexual rituals, brutal mutilations and murders on hundreds of children. How could this happen to Baron Gilles de Rais, a Marshal of France, a renowned intellectual, a paragon of the high medieval prince, almost Renaissance in his talents an accomplishments? There is no clear explanation. There is only speculation. Yet historic evidence indicates strongly de Rais, a returning soldier, suffered from severe PTSD, which perhaps triggered his latent psychopathy. His extreme depravity, his shocking fall from grace and explosive end add fuel to the precept that the barbarity of war turned this celebrated hero into a monster. Really, Gilles de Rais was a monstrous individual. And yet I doubt many readers realize that he's the basis for such a well-known tale. I doubt many readers realize Bluebeard is even inspired by a real person at all. I've decided to jump on board with Top Ten Tuesday, hosted by The Broke and the Bookish. This week the topic is: top ten books I'd like to reread. Good morning, readers! 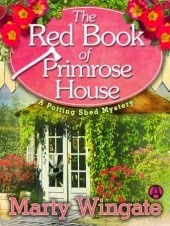 Today I'm a stop on the TLC book tour for Marty Wingate's second Potting Shed Mystery, The Red Book of Primrose House. Do note that there is a tour wide giveaway with this one. Be sure to read through to the end to enter. When we last left Pru, she had just been hired on as head gardener at Primrose House. It was a position she'd dreamed about for ages. And not only that, it allowed her to stay in England and it was close enough that she and her new love interest could still manage a relationship. Pru couldn't be more excited about her new position as head gardener of Primrose House. The current state of the gardens is... well... pretty awful, but Pru is bolstered by the discovery of Humphrey Repton's original Red Book for the estate. The book, something Repton was known for, outlined all of the man's plans for the grounds and will allow Pru to bring them back to their original and historic state, with a little twist. A local journalist plans to chronicle the restoration through a series of blogs, but with each new installment something on the estate is vandalized. At first it's small - the primroses, specially ordered for Primrose House, are demolished in what could have been a rabbit spree. When an old shed catches on fire and then the yews are mangled, everyone agrees it's something much more sinister than hungry bunnies. Then one of Pru's staff is found murdered. Though the authorities are certain the killer is in hand, Pru knows they couldn't be more wrong. As with the first installment, The Garden Plot, Wingate once again brings readers a quirky cozy packed with fun characters, gardening history, and suspense. It's a blend that I quite enjoy - especially the gardening history (I'd wondered where the title came from and was pleased that it was explained early on in the book - it's the kind of interesting factoid that sends me searching for more info!). I thought this one had a bit of a rough start, though, with a few minor hiccups in the narrative. Nothing major, just that the writing didn't seem quite as smooth in transitioning us from London to Primrose House and the early days of Pru's relationship. All in all, though, this is a series that I find I'm really looking forward to continuing. To see more stops on the tour be sure to visit the official TLC tour page here. Hi, readers! Today I was supposed to run a review and giveaway for the first title in Juliet Marillier's latest series. Instead, I have to do more of a "What I'm Reading" post and here's why: this weekend was insane. Truly insane! Friday was, of course, Halloween, which some of you might remember is also my wedding anniversary. Yep, it's been four whole years (married - ten together) now. And Saturday our longtime friends welcomed their firstborn, Owen Jackson, into the world! We headed over to meet him - and he's already a charmer - on Sunday and then made the mistake of going to Ikea for the bed frame we'd promised ourselves just before hubs broke his hand. Now that the cast is off we figured we needed it (it's got under bed storage and we've got super small closets). What we didn't realize was that said bed frame was going to take upwards of 6 hours to assemble. So yes, my weekend reading plans got pushed to bits I could fit in between moments of madness. But that was ok, too, because Dreamer's Pool was perfect for those moments! Everything I've come to love about Marillier's work - vibrant settings, fully realized characters, and overall enthralling tales - is here. And though I'm not quite finished, I'm already looking forward to more of Blackthorn's story! Blackthorn, an embittered healer, is incarcerated and awaiting execution when a mysterious visitor offers her a chance to escape; in exchange, she has vowed to set aside her bid for vengeance against her enemy. Accompanied by her former cell-mate, the hulking and silent Grim, Blackthorn flees northward where she settles in a derelict cottage on the fringe of the mysterious Dreamer’s Wood. There, she will live duty bound for seven years to assist anyone who asks her help, with Grim as her unofficial, and self-appointed guard. Meanwhile, the Crown Prince Oran has been waiting anxiously for the arrival of his future bride, Lady Flidais, whom he knows only from a portrait and her sweetly poetic letters. Convinced that she is his true love, he is stunned to find that while Lady Flidais matches her portrait, her brutality fails to match up to their correspondence. But now, it’s far too late, with the marriage imminent and his parents delighted to see their troublesome son wed at last. But word has spread that Blackthorn possesses a remarkable gift for solving problems, and Oran turns to her and Grim. But this is a problem that will require all of their resources: courage, ingenuity, and leaps of deduction. Not to mention, more than a little bit of magic. If you're a fan of Marillier's work, then you'll love this latest. If you've not yet had the pleasure of reading her work, I highly suggest starting now! Dreamer's Pool officially hits shelves tomorrow. Thanks to the publisher, I'm able to offer up one copy of Dreamer's Pool! Fill out the Rafflecopter below - before Monday, November 17 - to enter. US only and no PO boxes please. Aislinn Hunter's The World Before Us has been on my radar for a while now. It was released in Canada in September and has been on my wish list as I bided my time for either a US release or inevitably broke down and ordered it internationally. Well, the wait is finally over! 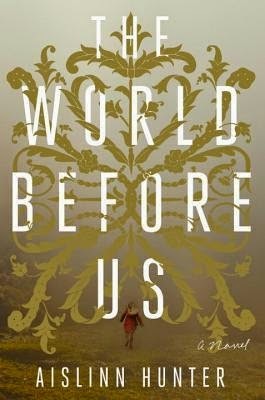 The World Before Us is due out from Hogarth in March. When she was just fifteen, smart, sensitive Jane Standen lived through a nightmare: she lost the sweet five-year-old girl she was minding during a walk in the woods. The little girl was never found, leaving her family, and Jane, devastated. Now the grown-up Jane is an archivist at a small London museum that is about to close for lack of funding. As her one last project, she is searching the archives for scraps of information related to another missing person--a woman who disappeared some 125 years ago from a Victorian asylum. As the novel moves back and forth between the museum in contemporary London, the Victorian asylum, and a dilapidated country house that seems to connect both missing people, it unforgettably explores the repercussions of small acts, the power of affection, and the irrepressible vitality of everyday objects and events. Seriously, an archivist at a museum (a bookish character), a missing-person mystery, AND a Victorian asylum... yes, this hits the right notes for me already!